Ahh, summer . . . the time of year when most people would converge in either the beach or the mall. Thanks to all the free time that people have during these months, this is the season when most recreational activities are planned around. If you are planning activities this summer and intend to inform as many people as you can, then you are on the right page. 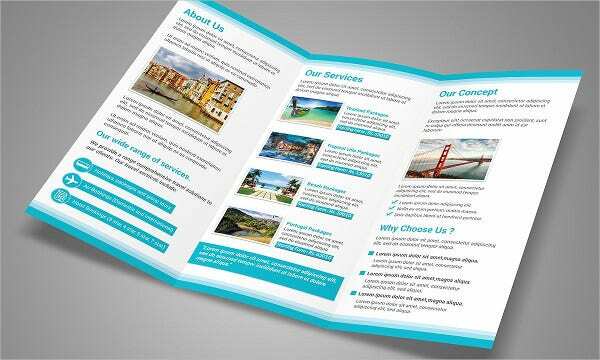 We have done all the work to ensure that your summer holiday activities are a success with our brochure designs. All you need to do is choose whichever appeals to you and off you go! 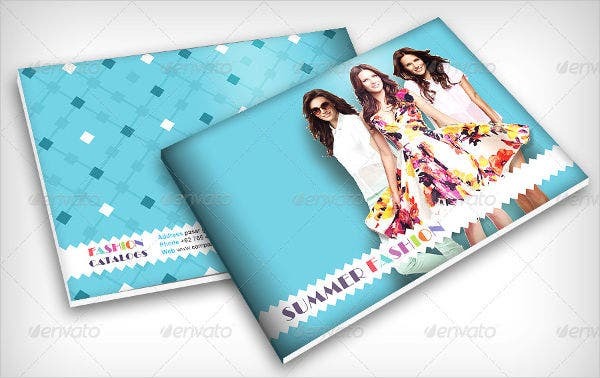 We offer here an array of customizable and printable publicity materials have been selected to ease your event planning come summer.You may also see Brochure Templates. 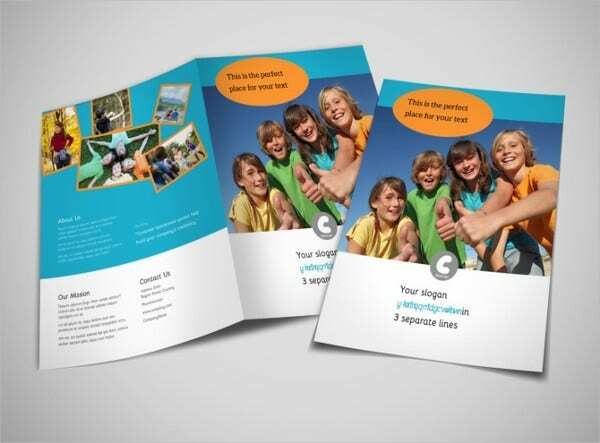 Knowing which type of brochure to use is essential in ensuring the success of your event. To simplify your search, we have chosen the three simplest yet most effective types—the bifold, the trifold, and the catalog. Each one has different features that serve different purposes. 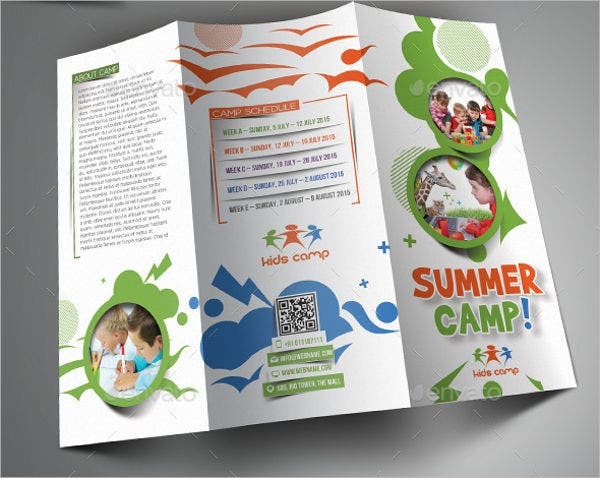 If you are unsure which type of material to use for your summer camp brochures, read on to know more about each. 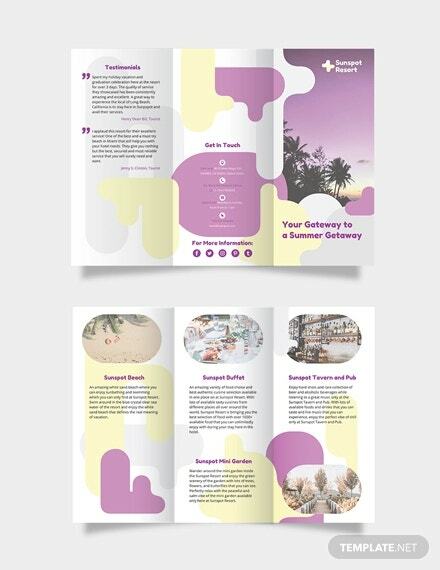 The Bifold Brochure is best when details of your event are highly specific and if you wish to have large panel sizes to incorporate visual-heavy information. If you have a very defined target audience but would like to attract the attention of more people and would rather mail or personally hand them your material, then this brochure should work for you. 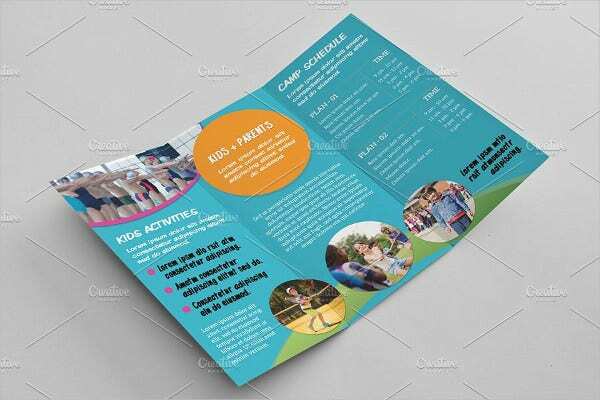 The Trifold Brochure should be your bet if you are about to launch your activity, wish to share a more sizable information, and attract a large audience but still would like to keep the option of mailing your brochure or keep a personal reach with your audience. 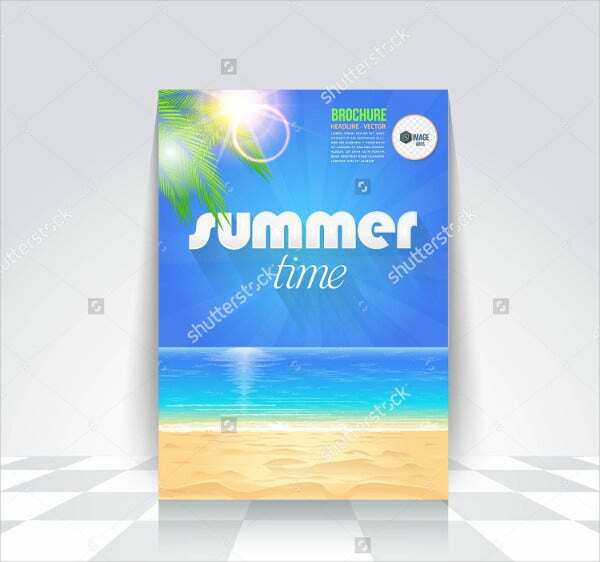 If you believe that your summer activity has a more substantial amount of information to share with your audience and a few stapled pages of photos and text should suffice, then the Catalog type of material should work best. 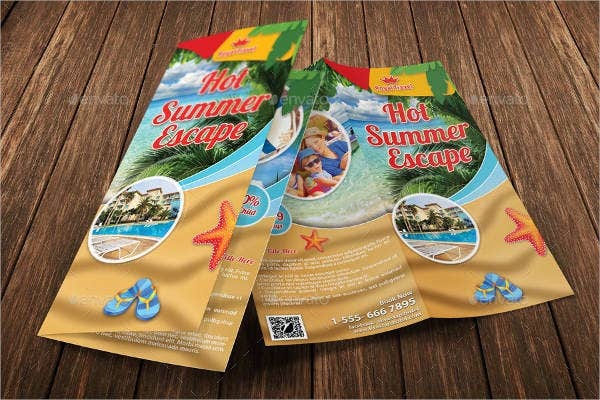 These templates have made 50 percent of the work, so now all you need to do is to customize the information in your summer holiday brochures. This will guarantee that your audience knows what your activity is for and how they can participate. It truly is a definite win-win approach. Be direct. 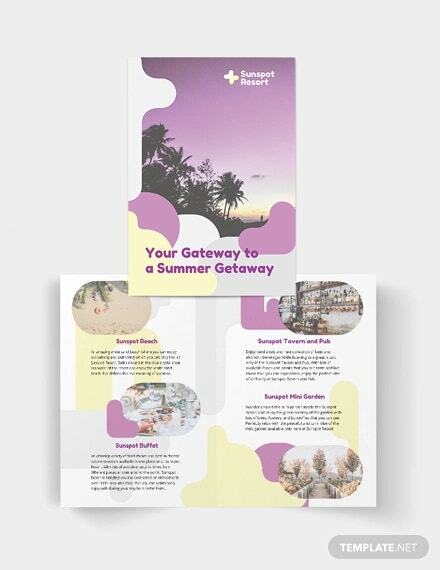 With the limited space you’re working with, a direct-to-the-point approach will ensure that the reader comprehends what the brochure is for from the get-go. Know your customers. If you are organizing a kids’ summer camp, then bright colors and pictures of fun outdoor activities in a sunny setting is sure to grab the kids’ and parents’ attention. Don’t overdesign. Keep your colors and fonts subdued to prevent straining the reader. If your draft material leaves you with a headache, then edit, edit, edit. Don’t forget your contact details. 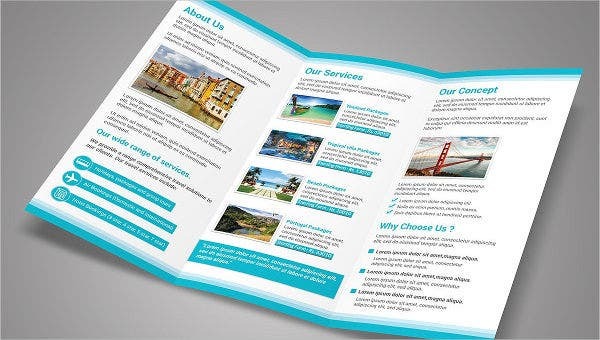 If the reader has understood your point, is awed by the information in your material, and is willing to engage with you, then you best include all your contact details in your brochure. You don’t want to leave your customers hanging if they have queries about your service or event.